Can't get your child to sleep? Then help is here with Mary Fern's Go to Sleep books. Often children can find it difficult to go to sleep. It's much more fun to play with friends and family. Their busy minds find it difficult to unwind, and sleep can become problematic. The story has been crafted to include specific bedtime suggestions. The narration and pace of the story is designed to slow down your child's rhythm and bring them to gentle restful sleep. The audiobook run time is around 30 minutes, and it can be played from any device and will become a part of your child's bedtime routine. The kindle book and the paperback are available as well as a supplement to the audio file and can used when you would like to share those final moments at the end of the day with your child before they fall fast asleep. Watch out, it might have the same effect on you as well! Happy dreams to all children and parents. Good expert help to get children to sleep these are good books easy to use and the methods seem to work. Good audio, and it downloaded quickly as well. I have this on my apple iphone and just leave it to play when they go to bed, it’s loud enough to hear easily just from the phone. 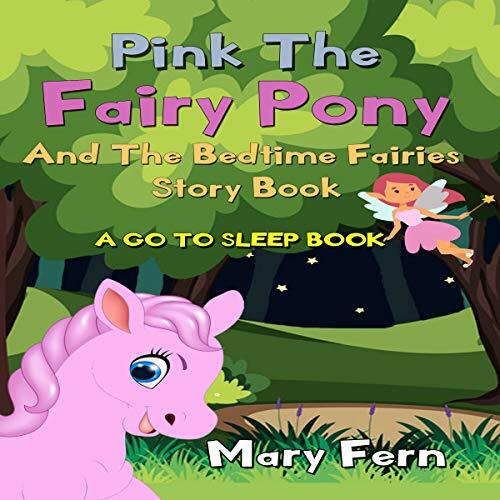 These go to sleep books by mary fern have really changed our bedtime routine, it’s a lot calmer now. The kids know they are going to get a story and look forward to and listen to these while they fall asleep. This is a go to sleep book so it is designed to calm children down at night time and ge their mind ready for sleep. Full of sleepy time suggestions. What little girl doesn’t like a book about a pony? This one is even better as it’s fairies and ponies all rolled into one.